The graceful beauty and energy of horses have long attracted people. In fact, horses have been domesticated for thousands of years. 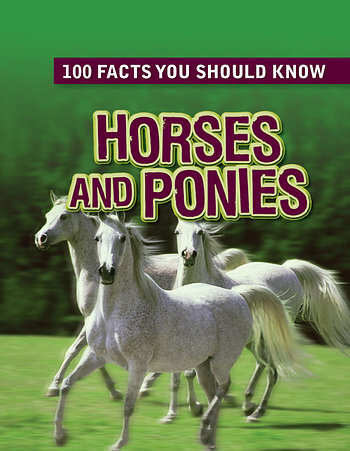 Horse lovers will find everything they want to know in this high-interest book, including the differences between horses and ponies, what horse hooves are made of, and the different gaits of a moving horse. Numerous equine vocabulary words are defined, such as colt, filly, foal, and mare. Readers will also learn about the evolution of horses and ponies, competitions, and grooming and care. A bright design and varied text elements, such as diagrams, activities, and quizzes, augment this informative volume.